As we&apos;ve seen with auctions in the past, Jean-Michel Basquiat drew and painted on just about everything he could get his hands on in the 1980s. An elevator attendant named Joy from the club Danceteria got a leather jacket from a stage manager and was smart enough to let the Radiant Child and lots of other artists from that scene draw on it with a permanent marker. Now the one-of-a-kind piece could sell at auction this week for an estimated $10,000. 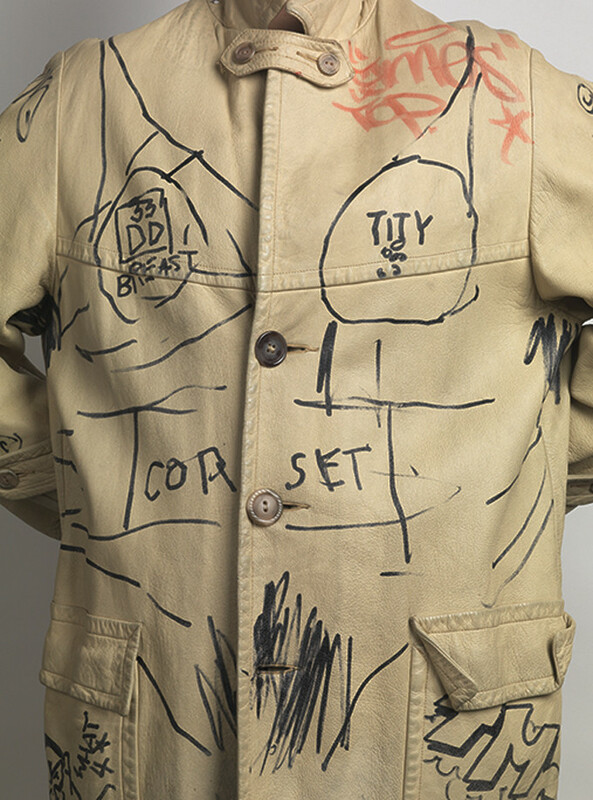 According to the listing over at Swann Auction Galleries, Basquiat&apos;s contributions to the Scully leather jacket were the anatomical references drawn all around the jacket, including "breast," "tity," and "corset." Not all of the drawings are attributed, but there are recognizable tags by Stash, Jep2, Energy, and a piece by Stephen Sprouse. 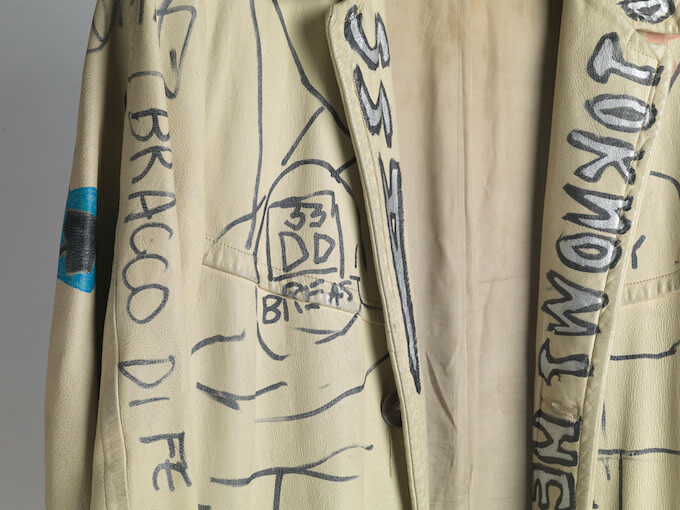 For more information about the Nov. 12 auction and to see more angles of the jacket, head over to the Swann Auction Galleries&apos; website. 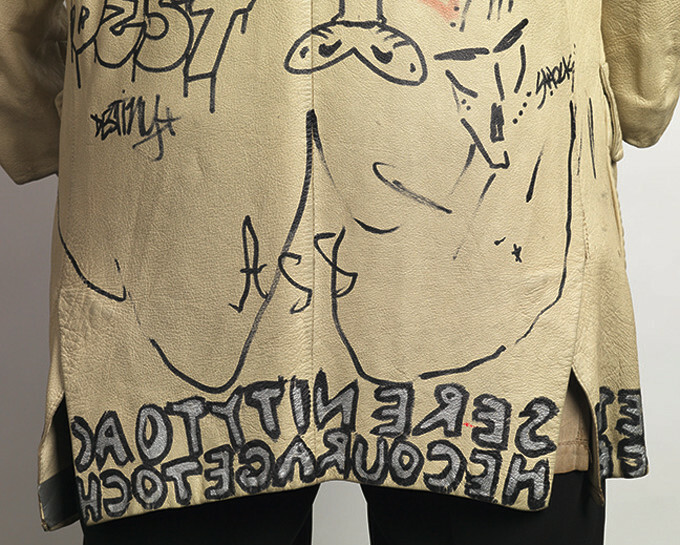 UPDATE: ABC News reports that the jacket sold for $9,100, just under the $10,000 high estimate, but comfortably above the $7,000 low estimate.